Pre-order FIFA 15, AC: Unity and more interesting games with reductions already today! It has already become a good tradition that before each weekend we rejoice you with the new list of the excting games with big and even unbelievable discounts. Moreover last week we gave you the possibility to pre-order FIFA 15, AC: Unity and other interesting games with reductions and today we would like to continue this tradition. 10) World of Warcraft Battle Chest + 30 days (EU) costs €5,99. 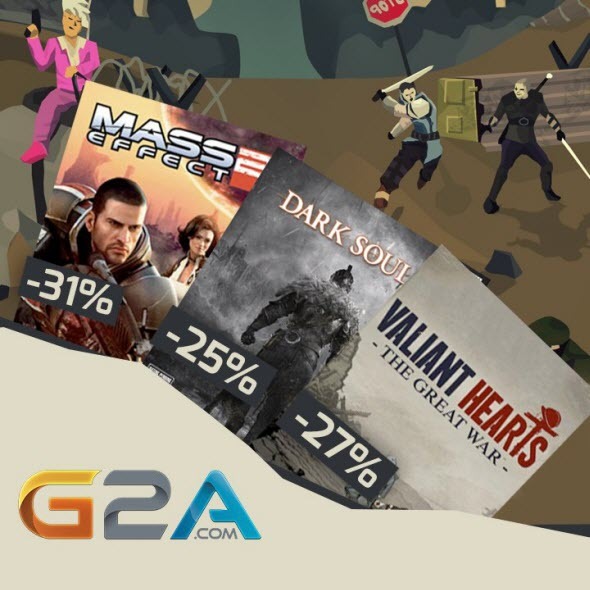 All these games are available here - https://www.g2a.com/r/saleg2a. The sale will begin today - on the 4th of July - at 15:00 GMT, and it will end in 3 days - on the 7th of July - at the same time. Enlarge your game’s collection already today!